All About Lifting & Safety has all the right lifting chains, including grade 80 & 100 , for your business – no matter your lift. Lifting chains allow your team to easily lift objects of different shapes and sizes with their gripping strength and shock absorbing properties. Utilise these products when moving, lifting or positioning your loads. When rope won’t do the job, our lifting chains will help you get your job done on time! To determine the reach of your chains and slings, pull the chain tight. Measure from the load-bearing point of the master link all the way to the opposite end. This includes the hook you have placed on the end of the chain. 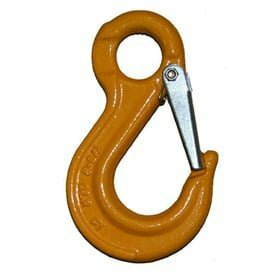 All About Lifting & Safety provides you with a wide variety of chains and slings with different reaches. All About Lifting & Safety offers lifting chains to meet the needs of your load, whether lifting overhead or moving on the ground. With working loads from 1 tonne to 69.2 tonne, a lifting chain is both strong and flexible for use on your jobsite. You can easily customise your lifting chains by adding in the fitting that meets your needs. The grade of lifting chains measures the breaking strength of the chain. Our grade 80 & 100 lifting chain allows you to lift up to 40 tonnes Direct lift using 32mm and is perfect for overhead lifting. We also have a variety of other sizes available. Uneven loads can damage your equipment. Try to avoid quick stops, drops, lifts and impacts while using your height safety equipment. When securing your load, always remove knots and twists in your rope or chain as they compromise the integrity of the equipment. Inspect your load for sharp edges and either pad them or use protectors to avoid contact with your chains and slings. Dirt, oil and other substances will affect the lifespan of your equipment. Keep your chains and slings in a tool box or other designated compartment to keep them clean. 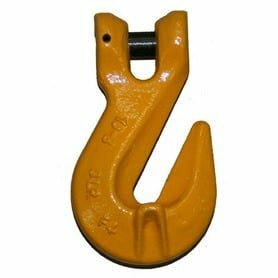 At All About Lifting & Safety, your safety equipment experts, we carry a full line of lifting chains, grade 80 lifting chain, and chains and slings. While you’re here, check out our maintenance and inspection services to ensure your job site and equipment is operating safely.